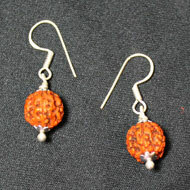 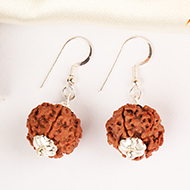 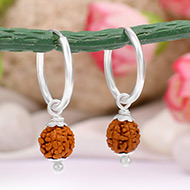 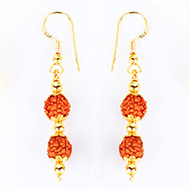 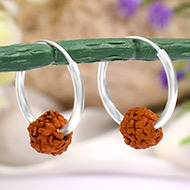 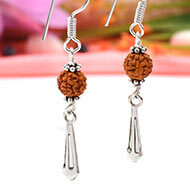 Healing Jewelry made using chikna 5 mukhi Rudraksha bead of size 9mm. 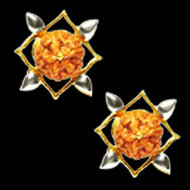 The flower shaped earrings are made in pure 22 Carat Gold. 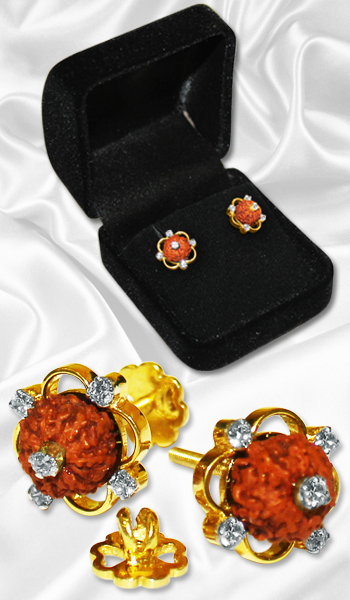 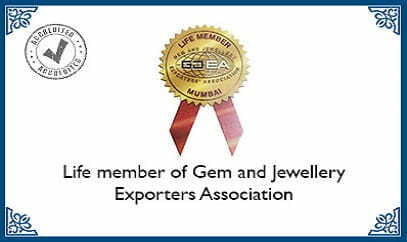 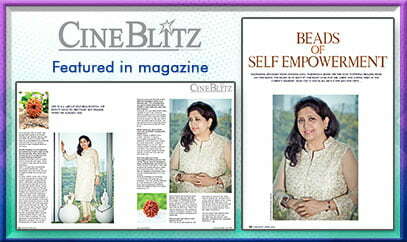 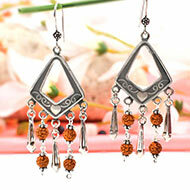 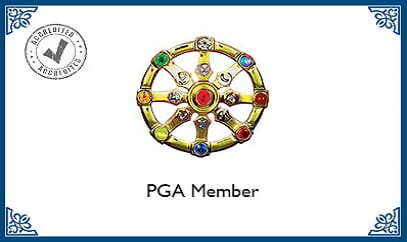 Zircon Gemstones add beauty and glamour to the design.